Public Relations (PR) and propaganda are key mechanisms by which power and influence are won (and lost). PR consultancies are also behind significant victories on behalf of big business, resulting in a tilted, biased market. PR emerged as a distinct discipline as a result of threats to the interests of business and government along with a ‘promotional culture’. The expansion and power of Trans National Corporations (TNCs) relative to nation states has been a key spur to the development of communications conglomerates, which provide a full range of ‘promotional’ services and aspire to a global reach. TNCs’ influence over the policy making process by entering an international market place has also led to a globalising of the PR industry. Multinational corporations, particularly in the US, and increasingly in the UK, look for global PR agencies who can operate adaptably and locally, wherever they are needed. The consensus in British politics was based on a compromise between organised labour and capital, which was founded on the post war 1945 settlement. This did secure real and significant democratic advances for ordinary citizens in the shape of the NHS, the welfare state, universal education, significant public ownership of utilities and heavy industry and, partly as a result, some amelioration of inequality in wealth distribution. The end of the consensus in British politics during the New Right era ushered in more competitive politics in which traditions were displaced by a neoliberal tilt to the market in government policy. The crisis of the consensus shifted decisively with the 1979 election of Margaret Thatcher’s government which favoured the role and ‘right’ of employers to ‘manage’, with government rolling back state mediation. During the Thatcher era, changes in the communication strategies of the nationalised industries were crucial to the changed relationships between management and workers. Controversial government actions and policies also led to a vast increase in PR spending by governments and by corporations in their attempts to influence government policy. Conservative policies could not work without the PR industry and the PR industry would not have developed in the spectacular way it did without consecutive Conservative governments. The British privatisations of the 1980s were instrumental in the rapid expansion of the PR industry. Once industries are privatised, PR, corporate identity consultants and advertising are needed to promote the private interests of the companies and as a part of their strategic armoury to create positive public images of them. By the 1990s, accountancy firms also routinely employed lobbying firms. Lobbying increased deregulation which increased PR spending by encouraging financial institutions to market themselves, and by ‘selling’ the marketing. Nowadays there are no matters for business, government or private interest pressure groups that have not been first addressed by promotional professionals, which has made, in turn, further contribution to shaping economic-political life and profoundly reduced the quality of our democracy. PR consultancy and neoliberal ideology are intimately connected, the role of PR has facilitated an institutional corruption in British governance. strategic objectives like gaining votes, driving public opinion or influencing legislation, is generally regarded to be an Americanisation of campaigning in the UK. However, the identifiable practices like negative advertising, personalised politics, and high pre-election campaign expenditures are generally more about maintaining a neoliberal status quo, and these methods are a ‘whatever it takes’ approach that are subsequently exported in a pre-packaged box of persuasion techniques to other countries. Political identities are being constructed rather than given, policies are presented on showroom dummies, dressed up in techniques of persuasion. Yet there is evidence to suggest that overexposure to this kind of window dressing and made over political coverage has contributed towards widespread political alienation. The rise of political marketing with its techniques of ‘spin’, selling and persuasion may have somewhat undermined the credibility of political leaders and institutions, with the elevation of style over content and image over substance, along with a concomitant ‘brand and package’ pack mentality political journalism, ultimately leading to hardened public cynicism. 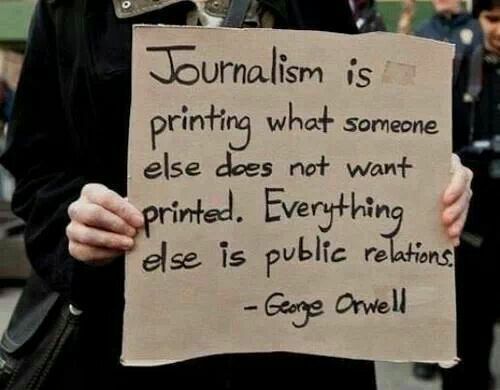 We are after all, inhabiting a world dominated by PR operations that leave little place for objective reporting. Every message that the public receives is “sponsored” by someone trying to sell us something – be it a product, a service, a candidate, a government or a legislative act. The content of the messages is calculated to generate superficial and shallow emotive responses rather than inspiring deliberative, rational and critical thinking. It wouldn’t be such a stretch to imagine that, in addition to the reductionist and glib sloganisation of politics, the normalised use of emotive, negative and ‘attack’ Conservative political advertising may in fact demobilise the electorate, too. The UK Policy Group is the UK branch of a notorious US political organisation – Definers Public Affairs – which has worked for Donald Trump’s administration and has aggressively targeted his critics. The company boasts: “What sets us apart is our focus on political-style research, war room media monitoring, political due diligence and rapid response communications. “We help our clients navigate public affairs challenges, influence media narratives and make informed decisions to disrupt crowded markets. “The global political, policy and corporate communications landscapes are evolving rapidly. Decision makers need high quality research to make informed decisions and need relevant content to drive the court of public opinion and provide context to shape decisions by policymakers. The Conservatives have outsourced their “research” to the UK Policy Group, privatising their dirt digging and smear campaigns. US lobbying firm Definers Public Affairs was founded by Mitt Romney’s 2012 presidential campaign manager, Matt Rhoades and former Republican National Committee research director Joe Pounder. Rhoades and Pounder are also directors of UK Policy Group. Definers made headlines in December 2017 when it was paid US$120,000 in a no-bid contract by the United States Environmental Protection Agency (EPA) to build up dossiers of compromising information on “resistance figures”, opposed to the policy agenda of Scott Pruitt, and Donald Trump, the man who appointed him. Definers cancelled the contract in short order after its activities were exposed. UK Policy Group was originally called, and registered with Companies House as, ‘UK Rising’. Rhoades and Pounder are co-founders of America Rising, a political action committee (PAC), that specialises in helping [Republican] party candidates and Conservative groups find damaging information on political rivals. Both companies “craft convincing narratives and focused messaging”. The expansion by Definers Public Affairs came at a time when US lobbying firms were eyeing UK expansion in anticipation of flood of Brexit-related work. UK Policy Group’s website unambiguously states it works for ‘corporate clients’, however, not a single one of those running the company has a significant private sector background. In fact, each of the five individuals standing alongside Pounder and Rhoades is intimately connected with the Conservative Party. Former government officials are advising this highly controversial company. The UK company’s vice president is Andrew Goodfellow, who was the Conservative Party’s director of policy and research. He specialised in ‘opposition’ research. James Caldecourt was previously a Political Adviser in the Conservative Research Department, also specialising in ‘opposition’ research, and was part of George Osborne’s team while he served as Chancellor of the Exchequer 2010 — 2015. He has worked on several national election and referendum campaigns in political, policy and operational roles. Louis McMahon worked for two tears for two Conservative government ministers, and previously co-authored a criminal justice report for the Center for Social Justice think tank, founded by Conservative MP Iain Duncan Smith MP in 2004. Ameet Gill, who was the former director of strategy Number 10 and founder of lobbying company Hanbury Strategy, is providing consultancy to the firm. Official documents reveal that David Cameron ’s former director of strategy, Gill, was given permission by parliamentary authorities to accept a contract advising the firm through his political strategy company Hanbury Strategy. Pelham Groom, a company director, was previously head of ‘media monitoring’ for the Conservative Party. Chris Brannigan, Theresa May’s former Director of Government Relations is also a member of the group’s advisory board. Rhiannon Glover is an analyst, formerly, the late duty press officer for the Conservative Party and researcher in the office of Nick Hurd. The company is also partnered with Trygve Olson, of Viking Strategies, who advised the European People’s Party in the 2009 EU elections and worked as a consultant to the Republican Party in the US. The company says: “We offer our clients an end-to-end system of research on issues and opponents, monitoring the news cycles, and shaping narratives via rapid rebuttal communications. The company employs people to find damaging information on political rivals. Scrutinising the personal histories, online videos and posts of Labour Party candidates, the company collects dossiers of potential discrediting and smear material to be handed to the Conservative Party. It’s understood that the information is then handed to right-wing websites and newspapers to construct narratives and add a veneer of evidence to negative articles. The company expansion by US-based company Definers Public Affairs came at a time when US lobbying firms were eyeing UK expansion “in anticipation of flood of Brexit-related work, using their capacity to influence the national news cycle’ and as a ‘master of opposition research”. Ian Lavery MP, Labour Party Chair, said: “I am disappointed but not surprised to hear that in an attempt to deflect from their total lack of direction and policy, the Tories are reduced to digging low and dragging British politics through the gutter, in the desperate hope that they may find some salacious morsel. It may be argued that there are communications requirements of modern democracies. 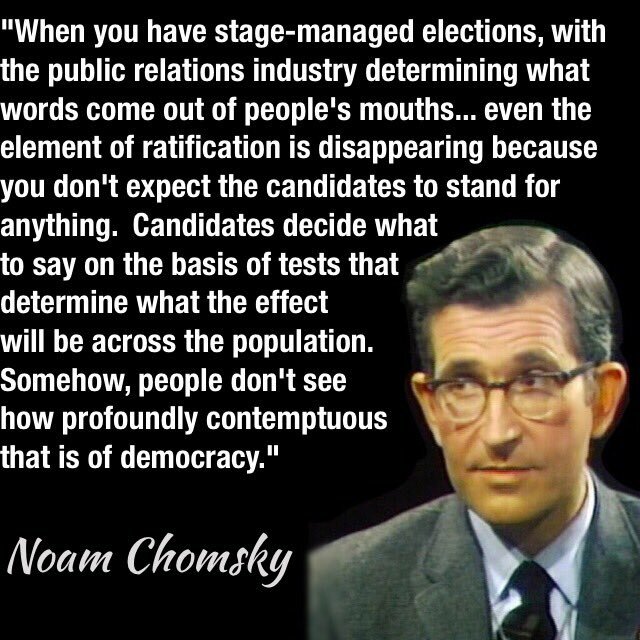 However, a representative democracy requires that political communication is dialogic – it flows in both directions between government and people. In fact that is a prerequisite. Instead we witness a manipulative neoliberal monologue from the current administration. Neoliberal Conservative governments and the PR industry are very closely aligned, each profiting from the other. The condition of the spectacular growth of the PR and lobbying industry was to facilitate and profit from the marked redistribution of wealth from the poorest citizens to the rich, establishing, elevating and securing the prioritisation of the private interests and power base of the 1% over and above – and at the expense of – public interests. I don’t make any money from my work. I’m disabled through illness and on a very low income. But you can make a donation to help me continue to research and write free, informative, insightful and independent articles, and to provide support to others. The smallest amount is much appreciated – thank you. Many thanks Kitty Sue – I’ve been saying for some time now that democracy is an illusion and this article along with other articles you have posted describes just how that illusion is achieved. if only naom chomsky was likeable. he talks absolute sense and truth but but but……he’s so… irksome and self effing satisfied don’t you agree ? or is that just me thinks that ?